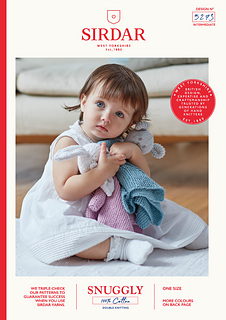 Ravelry: Rabbit and Bear Comforters pattern by Sirdar Spinning Ltd.
Rabbit and Bear Comforters by Sirdar Spinning Ltd. The yarn amounts are based on average requirements when specified tension and yarn is used. More from Sirdar Spinning Ltd.